Sæbø Camping is located in Øvre Eidfjord, approx. 300 m from the main road 7 which is the main thoroughfare from Oslo to Bergen. 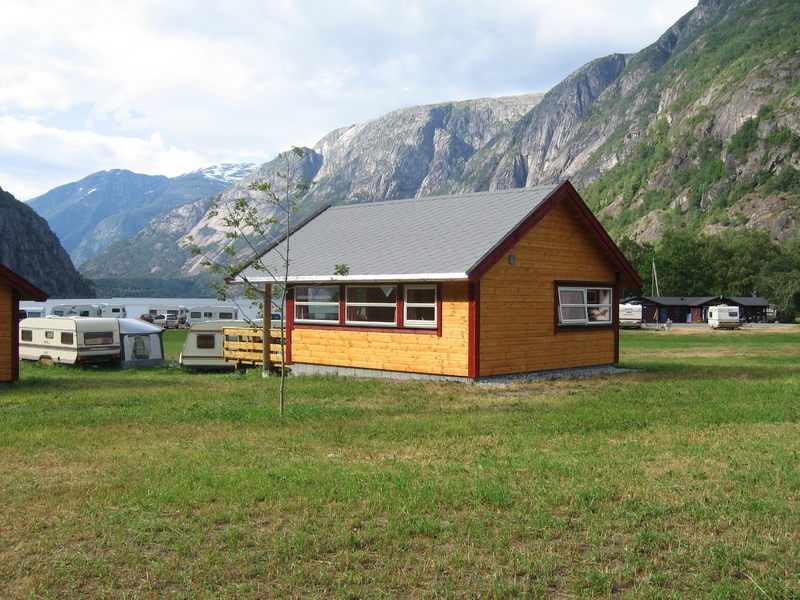 The camping site is situated in beautiful and quiet surroundings between high mountains by the shore of Lake Eidfjord. The site covers an area of 30.000 m2. 2/3 is camping area, the rest is covered by forest. The terrain is flat with open grass-field split up by small groups of trees. Next to the site runs the salmon- and trout-river Bjoreio. • Reception and kiosk. -Fresh breakfast-bread every morning. • Separate cabinets with sink, hot/cold running water and el- outlet. • Showers with hot/cold water (coin-automates). Heated floor. • Facilities for disabled persons, shower and toilet. Heated floor. • Family room and changing room for babies. Heated floor. • Campingkitchen with stove, oven, workbench and sinks for dishwashing. • Room for disposal of chemical toilets and outletwater from caravans. 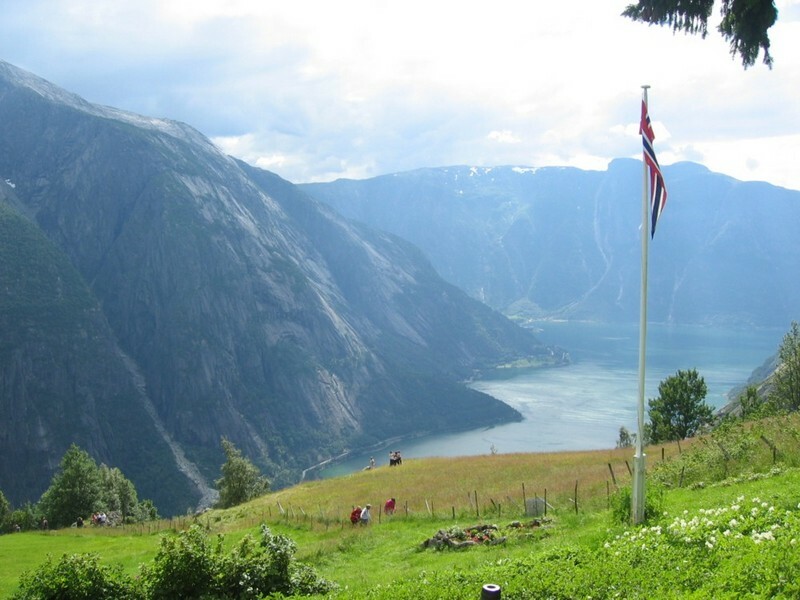 For fishing and in the Eidfjord Lake we have boats and canoes for rent. The camping site has a well-equipped playground for children. In Øvre Eidfjord you find Hardangervidda Nature Centre and Hardangerviddahallen, a very good restaurant. 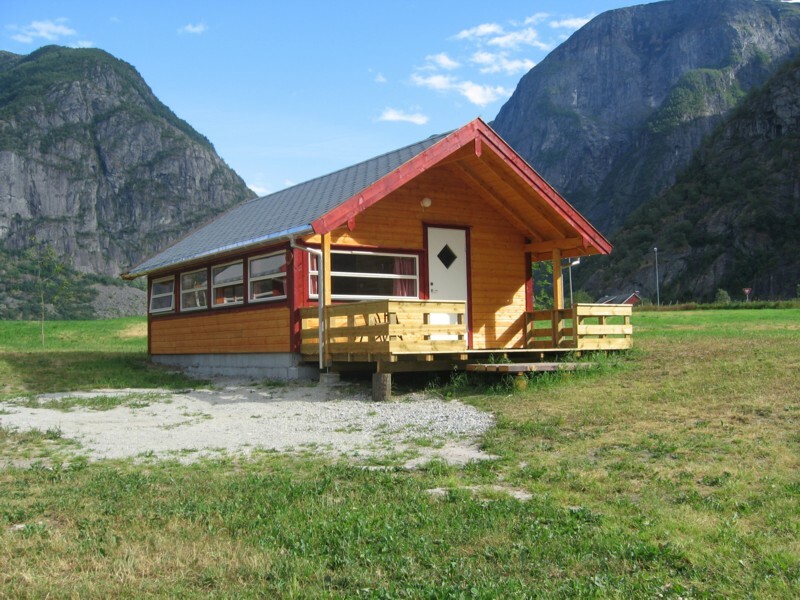 Near the camping you also find FlatEarth activity Centre, the biggest outdoor activity company in Hardanger. They ofer among many activities Glacier Expeditions, Sea Kayak and Climbing Courses, Power Kiting and Archery Sport. Activities for the whole family from beginners to experts. Open all days in season: 1/7 – 1/ 9 2008. In Eidfjord (6 km away), which is a larger village there are supermarkets, bakery and other shops, bank, postoffice, hotel, cafes and a good tourist information. Øvre Eidfjord is the last settlement before the road rises up to Hardangervidda, the largest high mountain plateau in Europe, and a good starting point for walking in the mountains. HARDANGERVIDDA NATURE CENTRE is a lively, multicoloured experience centre: Ivo Caprino Super videograph with 200 seats and five screens,3D models, Interactive videos, sophisticated, modern aquarium section, 700 m2 exhibition area, tourist information, cafe and a big souvenir shop. 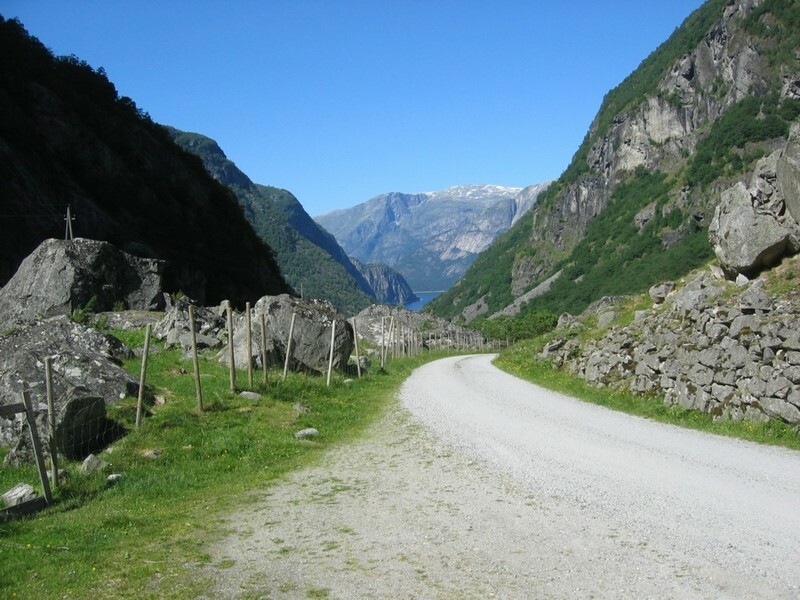 The centre tells you about Hardangervidda and the inner fjord regions, about nature and how it is used. MÅBØDALEN MUSEUM OF CULTURE LANDSCAPE shows the arterial roads through the wild and beautiful Måbødalenden from the original Måbøgaldane, a footpath with 1500 steps and 125 curves, via the first road for cars which now is reserved for walking and bicycling only, to the modern main road that mainly runs through tunnels. Several rest areas are found by these roads. 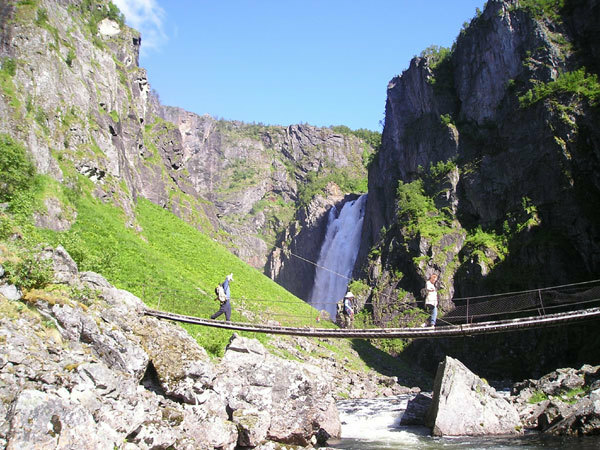 If you would like to have a scenic view of the valley, you can take the trip from Måbø to the plateau above Vøringfossen with the "Troll train".The Troll train, which is an attraction by itself, runs on a regular basis up and down the valley. MÅBØ GARD, an old farm, is a part of the museum and is located by the lower station for the train. A guide is stationed at Måbø gard. SIMA HYDROELECTRIC POWER STATION - one of the largest and most modern in Northern Europe. 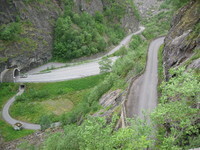 HJØLMODALEN, this valley also gives you a meeting with the wild Norwegian nature. On a steep road from Øvre Eidfjord you passes Vedalsfossen and Hjølmo before you reach the top at Åsdalen cafe 800 m above sea level. Footpath to the beautiful waterfall Valurfossen. EIDFJORD OLD STONE CHURCH from 1309. KJEÅSEN montain farm, 600 m above the fjord. Road up through a tunnel. Also footpath up (1 1/2 hours walk). HARDANGERJØKULEN glacier - seen from RV7 or can be reached by some hours walking. 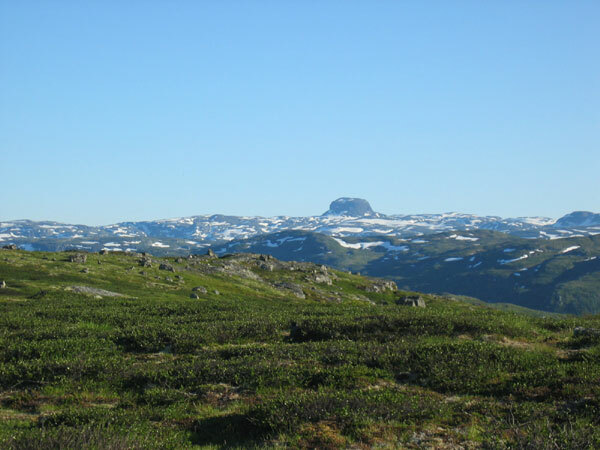 HARDANGERVIDDA NASJONALPARK is with its 3.430 km2, Norway’s largest national park. With the special landscape, nature and arctic flora and fauna the park is unique in the world. Further details at the reception of Sæbø Camping where you always will be welcome for more information.